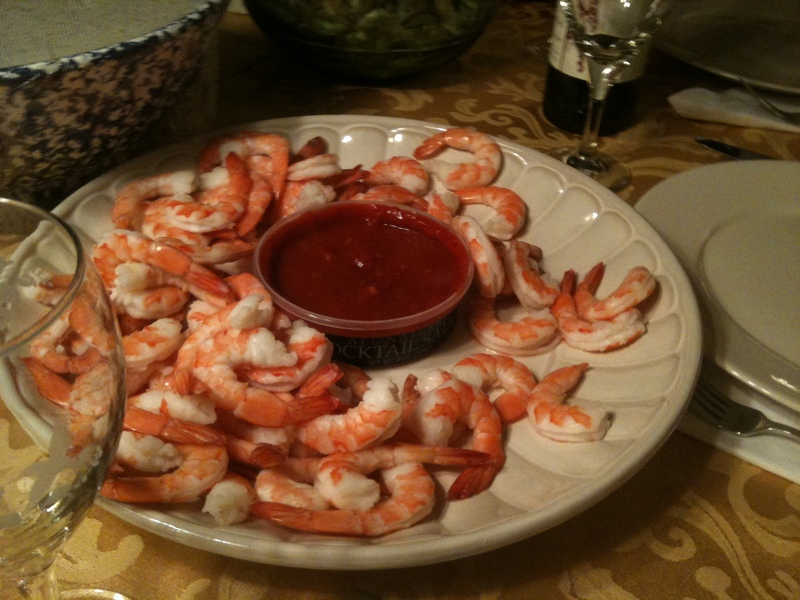 And here it is… rundown of our family’s Christmas Eve dinner. 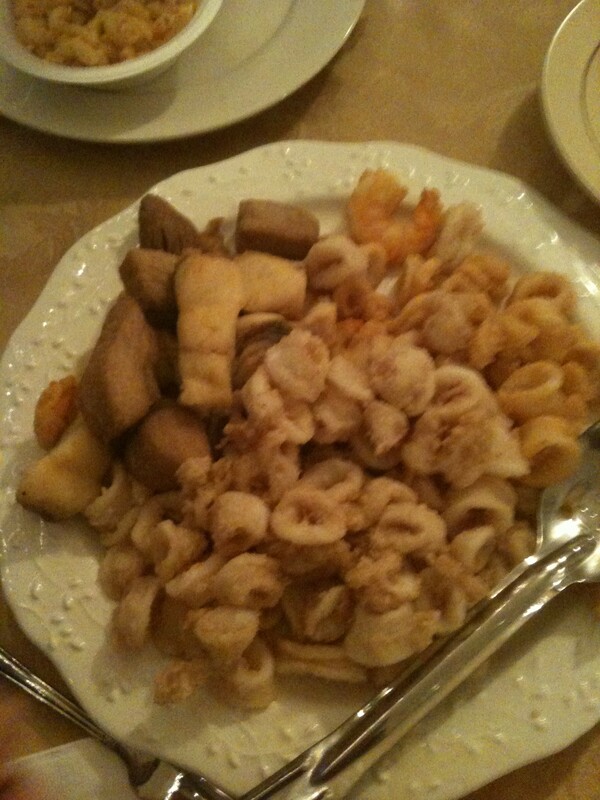 The feast of the seven fishes has nothing on our meal. 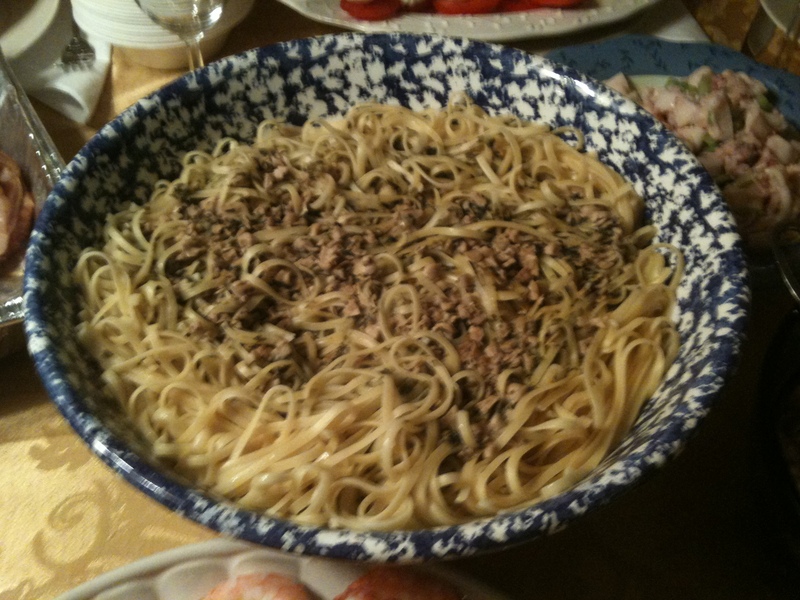 Linguini and clams- What needs to be said about this dish? Always a favorite! Shrimp cocktail- I mean how else are you going to start off a seafood fiesta? Shrimp and scallop ceviche- This was my dad's dish. What made it awesome was the dill cream sauce he made to go with it. 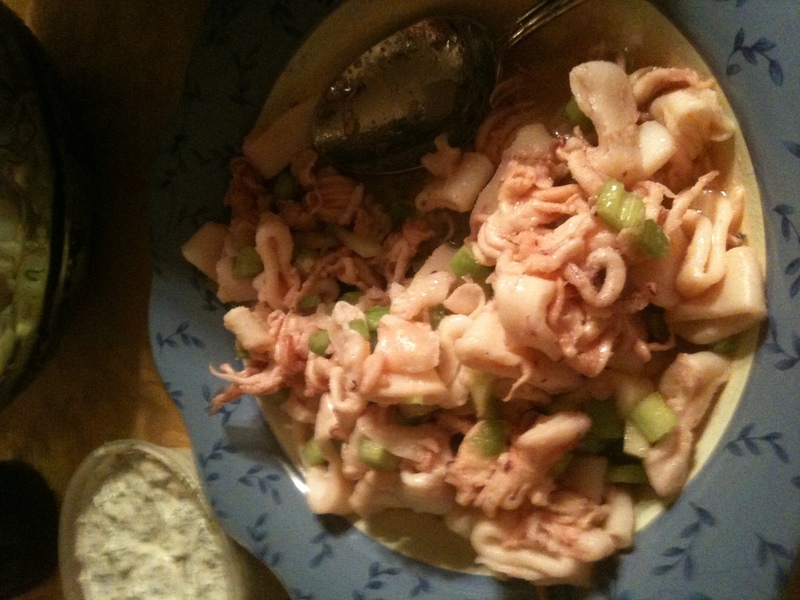 Calamari salad- Simple boiled calamari with oil, celery and seasonings. 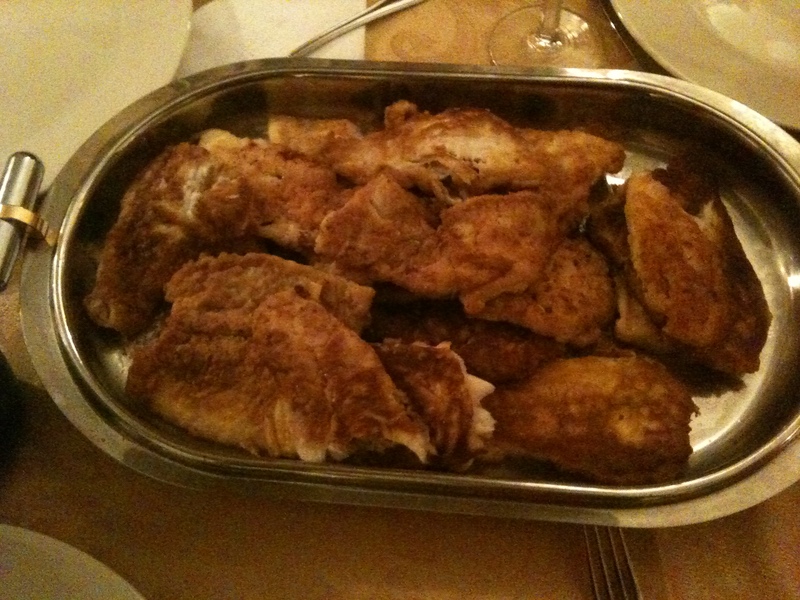 Filet of sole- More fried fish.. oh yeah! Scungili in a spicy marinara- This was my dish. I'll post the recipe soon. I got the greatest compliment on the dish. My uncle and cousin told me that it tasted just like their mother / grandmother's. Can't get any better than that. I served t over some semolina bread that was dried in the oven today to form a hard biscut. 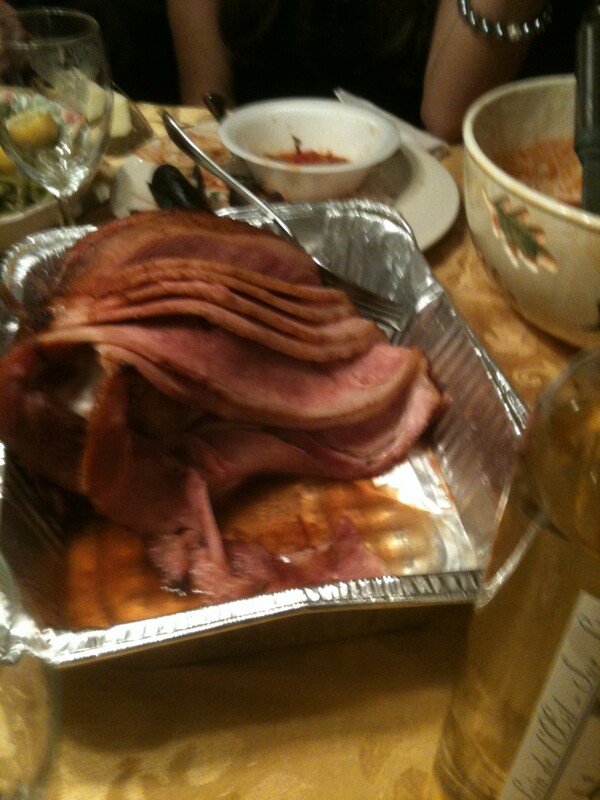 And for dessert... Spiral ham. 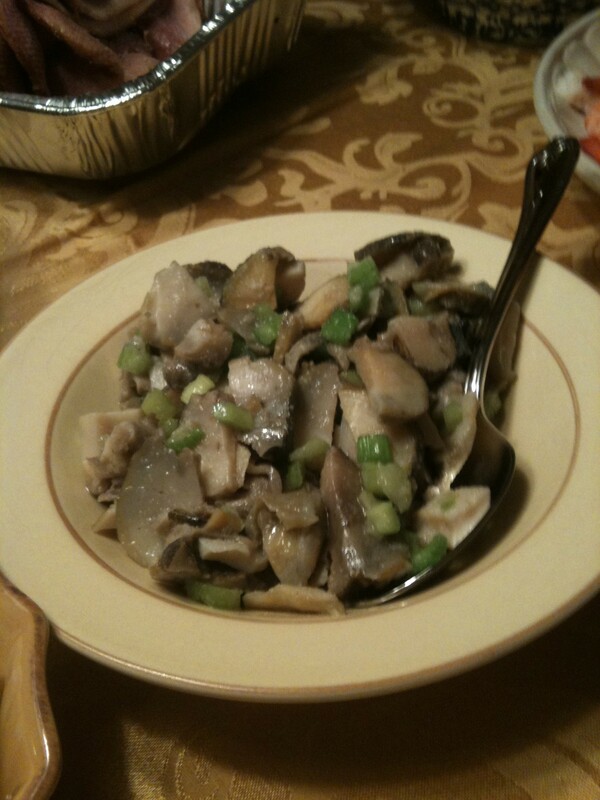 Actually that's there for my sister-in-law who is not a seafood fan, but I ate it for dessert. Total count 13 dishes 10 different types of fish and one glorious pig. Of course there were a TON of desserts, but I was in too much of a seafood coma to take any photos. We’re going to have to see this in person some day. Everything looks delicious. We saved you some scungili marinara! Another eve to remember. 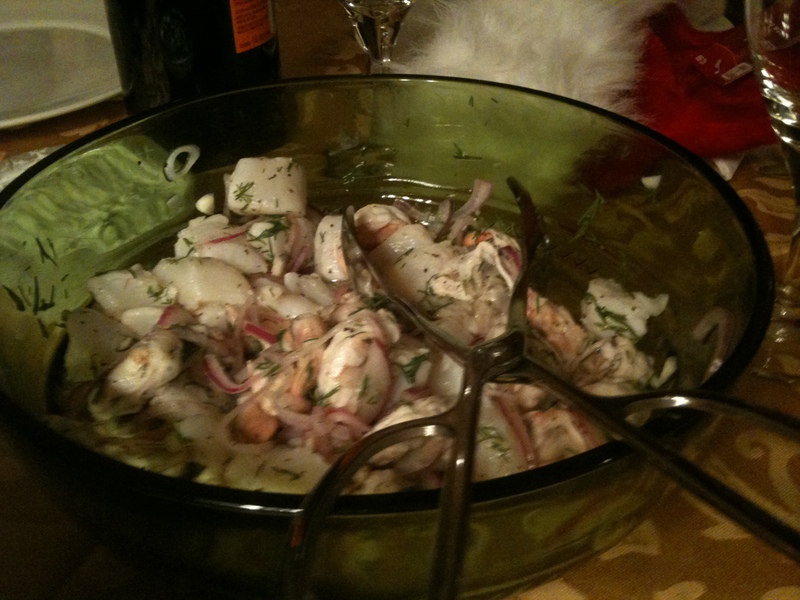 Concerning my ceviche—this is the first time I did this dish with both scallops and shrimp. The fish marinated in the lemon/lime juice combo for about 6 hours–and I thought the shrimp were a little underdone.. Large scallops cut in half were perfect. The dill sauce is easy. Cup of mayo–juice of about half a lemon (I always use fresh)–and chopped dill to taste. I like a lot of dill for flavor and aroma. Also, next time I think I’ll reserve some fresh dill to sprinkle on the cerviche just before serving. My guess is this sauce could have a lot of other uses. Dad- That sauce will also go great with grilled salmon. Can’t wait to try it this summer. I am very jealous of not being Italian. This Polish/Lithuanian thing is not working out for me. Merry Christmas!! Love your Christmas dinner! 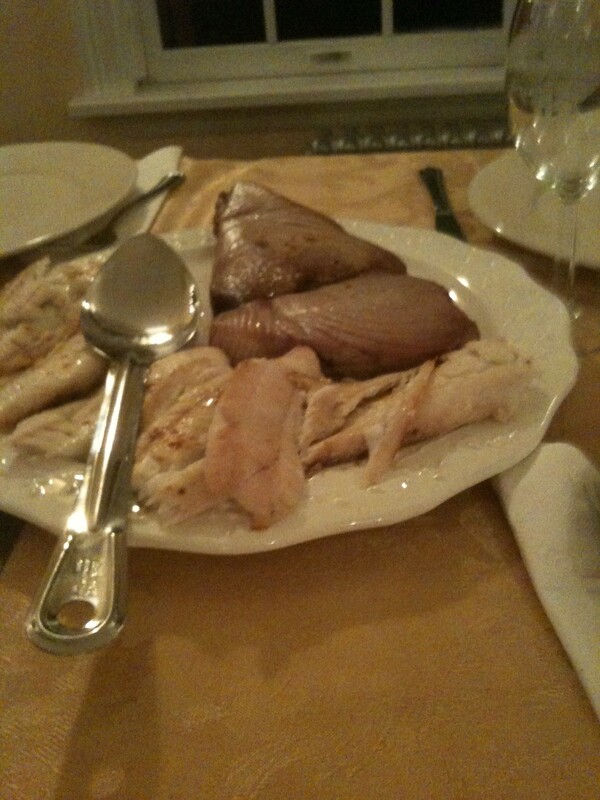 Reminds me of what my family does – so many different kinds of fish and the scungili salad – yum! The only thing I want to know is how do you cook the eel and how does it taste!? My parents always tell me about how my grandfather (who came to the U.S. when he was 13 from Sicily) used to make eel but I’ve never tried it and am a very adventurous eater! 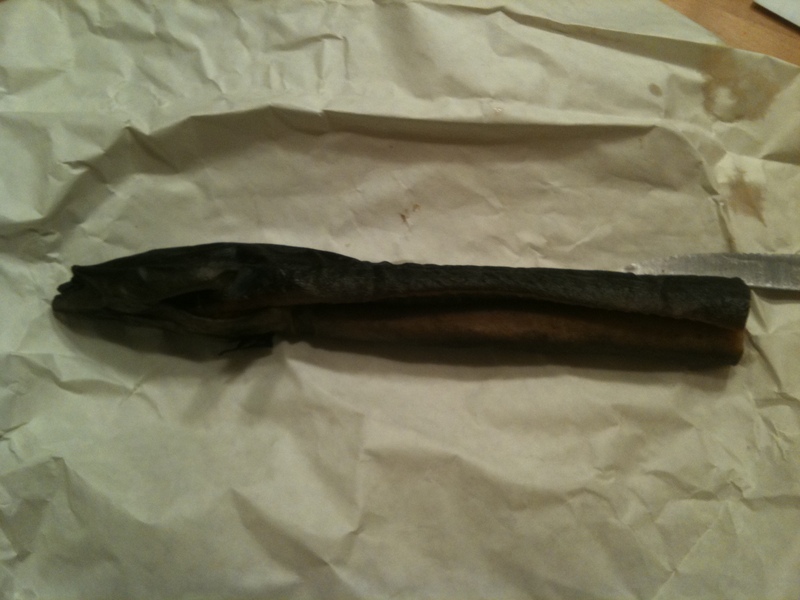 My uncle actually just bought the smoked eel from the local fish monger this year. It was one of the only things that we bought pre-made. I’m also an adventurous eater so I jumper right in since we haven’t had it on the table in YEARS. I basically just ate pieces right off if the eel. I also spread some on good Italian bread. It was delicious and I’m looking forward to eating it again. I remember catching eels with my dad when I was young. I know we cooked and ate them, but I forget how they were prepared. Red sauce was probably involved.